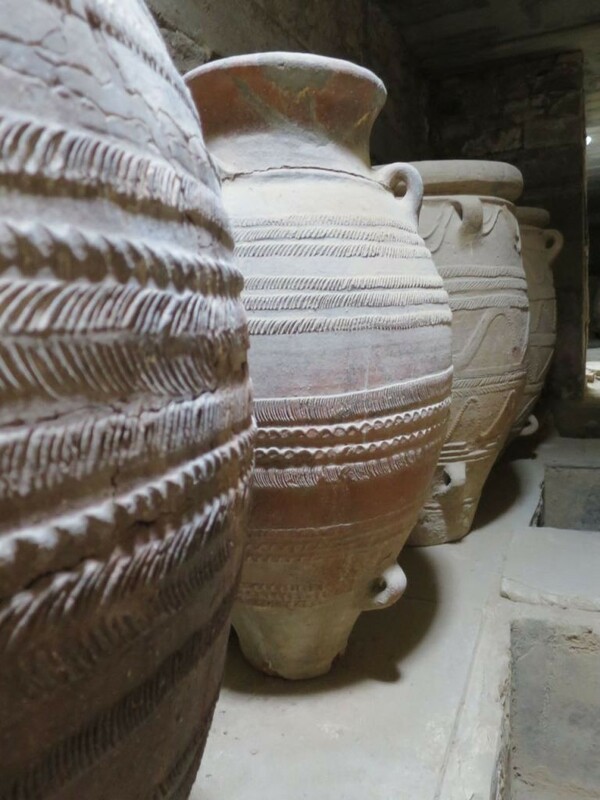 Over the previous weekend the Seshat project ran a workshop on Cretan history and archaeology. 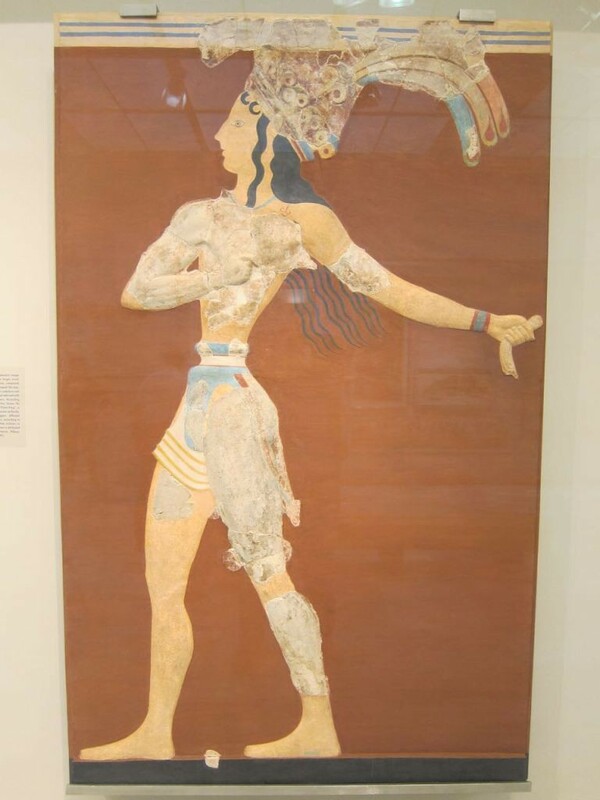 We met in the Villa Ariadne, which the first excavator of Knossos, Sir Arthur Evans, built for himself right next to the great Minoan Palace at Knossos. Several times during the workshop the discussion among the experts and Seshat people delved into a very difficult subject: how do we use archaeological data to make inferences about past societies? In this post I thought I would explore this issue a bit, using two examples from Sir Arthur’s work. 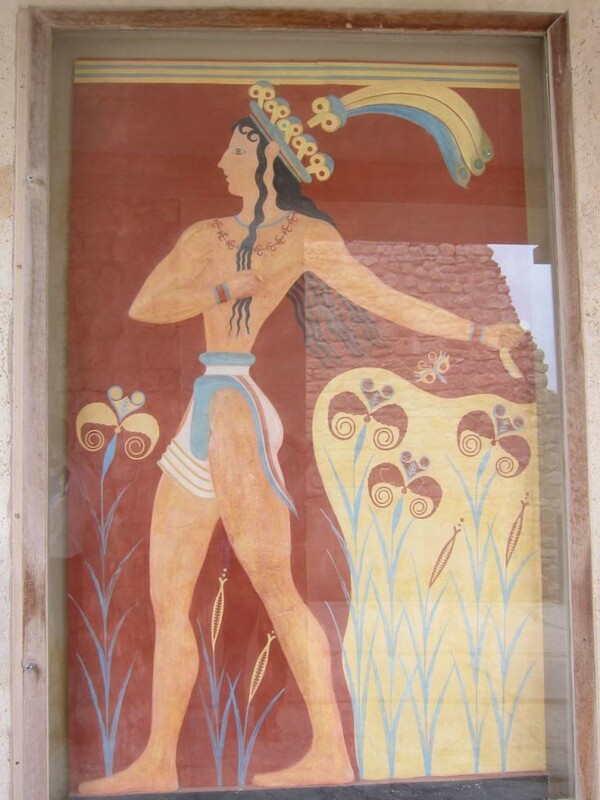 The face is the twentieth century drawing, and Sir Evans didn’t get it right, because, as one of the archaeologists noted during our tour of Knossos, Minoan men didn’t wear their hair in this style. The headdress might not even come from a human, but from a mythical creature like a sphynx. 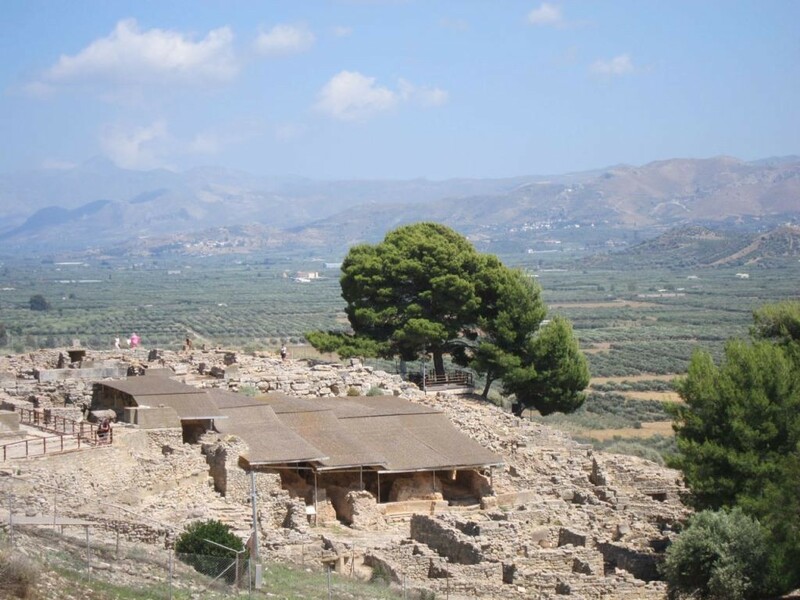 First, the so-called Minoan “palaces”, which should properly be called fortresses, were located on the tops of hills. Living on a hill top is really inconvenient (if you have no modern transport), because you have a long way to travel to your fields and you have to climb up a steep slope after a hard day’s work. Usually, people prefer not to expend so much effort, unless there is a compelling reason to do so. This compelling reason is security. 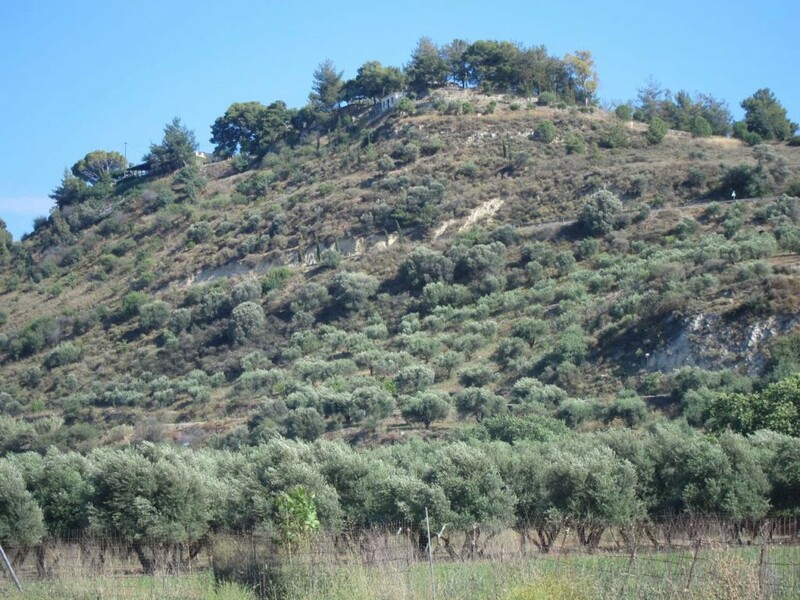 The defensive advantages of these hilltop locations were especially apparent on our visit to one of the other great Minoan centers at Phaistos, which, unlike Knossos, is not surrounded by a town. There is a very strong macrohistorical pattern: people enjoying a secure environment tend to build villages and towns in the lowlands. When threatened, they move them to the hilltops (if there are hills, otherwise they move to river islands, into the marshes, or build walls, stockades, and dig ditches and moats). This is the pattern we see from Peru to Italy. After the Roman Empire fell, and the Pax Romana with it, Italians moved up to the hilltop villages, like San Gimignano, that we enjoy visiting so much today. 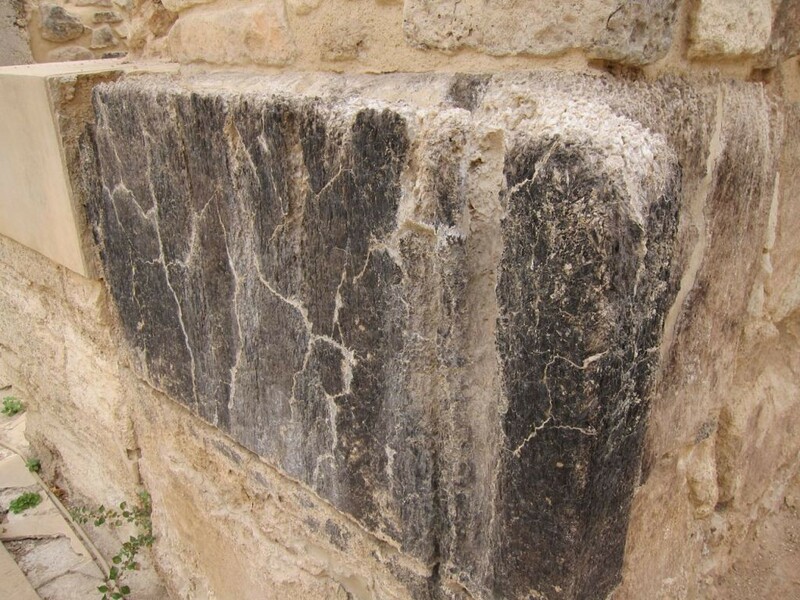 On Crete, we see the same pattern: the Minoan palace of Gortyn was built on a hill, but when Gortyn became the capital of Crete during Roman times, the town was moved down to the plain. 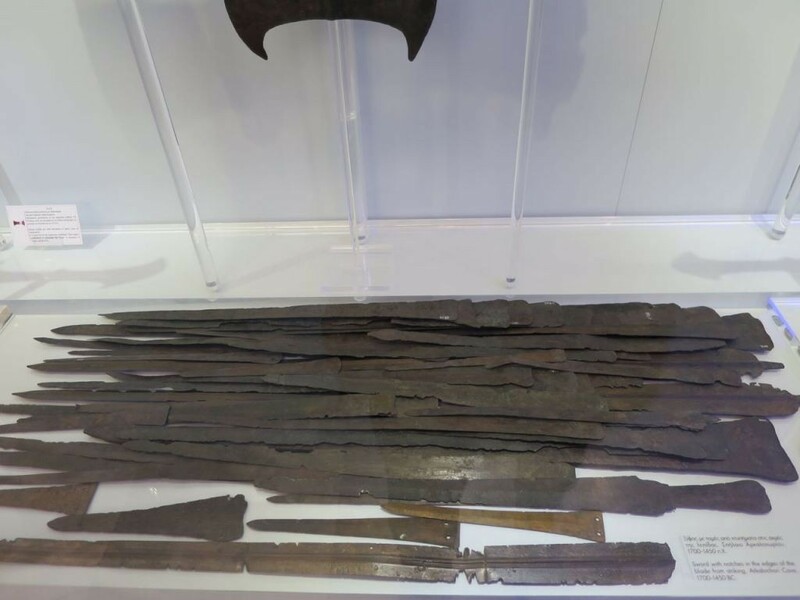 Third, there are hundreds of weapons, like swords and rapiers, exhibited in the Heraklion Archaeological Museum, which is clearly only a small fraction of those excavated, and those are a small fraction of the weapons used during the Bronze Age. A rapier is only good for one thing: stabbing people. There were roughly 400 jars each with 5 hektoliters of volume. That’s 2,000 hektoliters. Assuming they stored grain, oil, and wine, that’s not even enough for 1,000 annual rations (a person needs 2-3 hektoliters of just grain to survive). 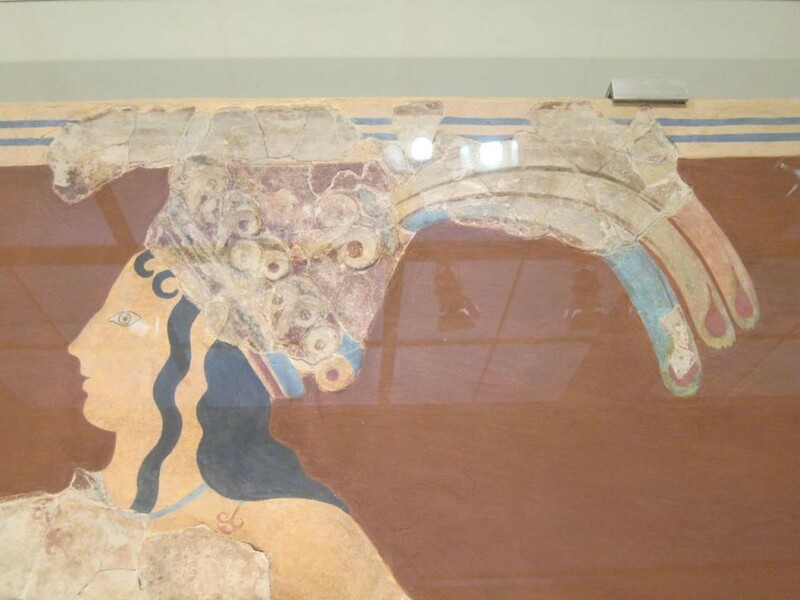 That’s not enough to feed the town of Knossos, which covered 70 ha and had an estimated population of 20,000 – 30,000. 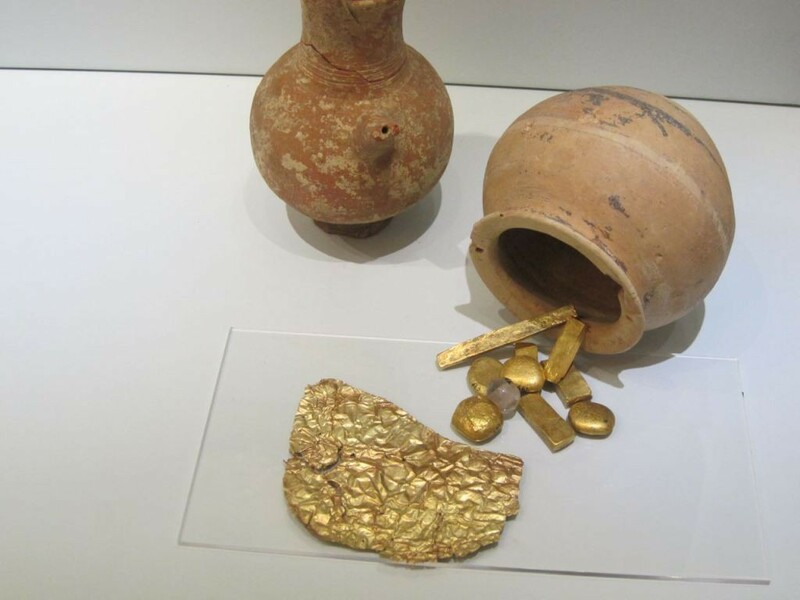 This food (if food it was, we don’t know for certain) could have been used for feasts. However, historical analogies suggest that food stored in fortresses was usually meant as emergency supply in case of siege. This is just a suggestion, but such a use would fit well with other evidence of warfare from the area.